Defense Personal Injury Lawyer FAQ | Boise | Filicetti Law Office P.A. I am a police officer. What if I am wrongly accused of misconduct? Contact Filicetti Law Office P.A. as soon as you find out that you are the target of a criminal, administrative, or civil investigation. It is not uncommon for a police officer to be the target of unsubstantiated accusations and unjustified allegations. At Filicetti Law Office P.A., we understand the reality of the streets and the parameters of the law. We know how internal affairs investigations and prosecutorial review work. Our office has been defending police officers since 1998. When bad things happen to good cops, we will do everything we can to set the record straight, protect you, your reputation and employment, and provide the aggressive legal defense you need. Notify your attorney immediately upon being told of the accusations. It is very common for police officers to trap themselves early in a case by an interview that goes poorly, without the input of legal counsel. We will travel immediately for internal affairs interviews, critical incidents, and criminal charges. We will defend you and keep you protected from surprise. Should I consent to a breathalyzer test? In nearly all situations you should provide a breath sample for a breathalyzer or chemical test. In Idaho, there is a one year ABSOLUTE suspension for refusing to provide a breath sample and you can still be charged with DUI even if you refuse. There’s simply not a compelling enough reason to refuse consent to a chemical test. What do I do if the police want to speak with me? We provide the same counsel to law enforcement as well: invoke your right to an attorney as early as possible so you can provide a statement in the presence of your attorney. What are my rights when questioned by the police? Having to speak with an officer can be a nerve wracking experience, even if you are innocent. If you are questioned by a police officer you have the right to remain silent. If you do choose to speak, the police officer can use what you say against you in a court of law. You also have the right to an attorney. 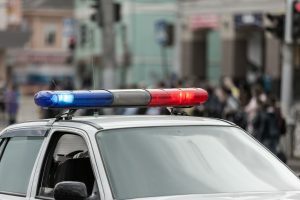 Avoid saying phrases such as, “I think I want an attorney.” You must be clear that you are requesting an attorney, in which case the police officer must stop their line of questioning immediately. If the other driver’s insurance company calls you, never give a statement about the auto accident. You should refuse to speak to them. Be polite, but do not provide them with any information about the accident. Insurance claims adjusters are professional negotiators and will use any information you provide to hurt your claim. They will be taping any statements that you make. Make sure you do not sign any paperwork, even medical records, without consulting a knowledgeable personal injury attorney. It’s often difficult to understand who may be at fault and whether a third party can be held accountable for an accident. In general, civil law holds that if you are injured (or are a surviving family member), you have a legal claim for recourse anytime another party intentionally or negligently caused you harm. Intentional harm is much more obvious, but negligent harm has many more nuances and may be more difficult to prove. Negligence is the most common civil suit filed. Many cases involve a vehicle accident, hazardous property, medical malpractice, or wrongful termination of employment. At Filicetti Law Office P.A., we provide legal counsel you can trust and peace of mind. We have handled hundreds of similar cases and are familiar with both the process and likely outcome. Is there a time limit on filing my personal injury claim? Yes. The statute of limitations restricts the amount of time you have to file a personal injury claim. If you fail to file your claim on time, you will be barred from doing so forever. Typically, cases involving personal injury allow you two years after the date of the accident to file your claim. If the case is against a governmental entity, you have 180 days for file a Notice of Tort Claim. If you fail to file the Notice of Tort Claim or fail to file within the statute of limitations, your claim is dismissed, no matter how worthy your case was for damages. Who may be held liable in a wrongful death claim? More than one person may be held liable depending on what led to the death of your loved one. Negligence is often one of the most important factors to consider in who may be liable. For example, in the case of a fatal car accident, the driver may be held liable for the collision. However, if the driver was intoxicated, the establishment that served him may also be liable. There are also statutes that reach to the employer or person who owned the vehicle for negligent entrustment. Punitive damages are monetary damages that are sought in order to ensure that the wrongdoer is punished for his or her actions. Families facing situations in which there is insufficient evidence to bring criminal charges often seek punitive damages. In every wrongful death case, you should consult an experienced attorney before proceeding. Do car accident claims take a long time to resolve? Most car accident claims can take several months to resolve. In addition to pain and suffering, we will ask for compensation for medical bills. You therefore need to have recovered from the injuries before negotiations can proceed. If a law suit is required, or if your injuries require long term care, the time it takes to resolve your case could extend. Contacting Filicetti Law Office P.A. can speed up this process. You focus on getting healthy – we’ll ensure you receive the best possible representation in the state of Idaho. What is the common process in a civil suit? While the proper handling of each dispute depends in large part upon the particular circumstances, certain steps are common to most lawsuits. Whenever possible, we follow a systematic approach that assists in ensuring that all necessary work is performed in a timely and cost-efficient manner. The steps in litigation include: Investigation, Pleadings, Discovery, Pre-Trial Preparation and Trial. As soon as you have retained counsel, their first objective should be to ascertain, document and assess all of the relevant facts. While much of this work may be performed at a later stage of a dispute, our practice is to “front end load” the investigations, in order to be in a position to conduct the litigation in a principled fashion. Quite often, clients are in a position to provide or collect much of the required information and documentation. For example, plaintiffs can supply accident reports, medical records, autopsy reports, employment records, income taxation returns, etc., while defendants may be in possession of written statements, vocational assessment reports, rehabilitation records, etc. Counsel will conduct whatever legal research may be necessary to permit a preliminary evaluation of both liability and potential damages. In both personal injury and property damage cases, private investigators are frequently employed to document the material facts of the involved accidents, including the collection of statements from and addresses of independent witnesses. Finally, expert opinions may be sought from various consulting professionals, including accident reconstruction specialists, engineers, physicians, psychologists, occupational therapists, economists, and accountants. Pleadings are formal documents, which catalogue the parties’ respective positions and allegations. Essentially, the pleadings define who is involved in the lawsuit; what matters are at issue; and what relief is being sought. Plaintiff counsel prepares a Complaint, which sets out the identities of the parties, the wrongful acts allegedly committed by the defendant(s) [for example, breach of contract, negligent operation of a motor vehicle, etc.] and the losses sustained by the plaintiff. Defense counsel prepares an Answer, which admits or denies the plaintiffs’ various allegations, and asserts any affirmative defenses relied upon [for example, the contract was substantially performed, the plaintiff was contributory negligent, etc.]. Defense counsel may also prepare a Counterclaim [alleging that the plaintiff is legally exposed to the defendant in some specified fashion], a Cross claim [alleging that other defendants are liable to provide contribution or indemnity toward the plaintiff’s claims], or a Third Party Claim [alleging that non-parties are liable to provide contribution or indemnity toward the plaintiff’s claims]. Once all of the pleadings have been ‘served upon’ [delivered to] the opposing parties, and filed with the court office involved, the lawsuit moves to the discovery stage. Generally, the Idaho Rules of Civil Procedure allow parties to obtain discovery regarding any matter, not privileged, which is relevant to the subject matter involving in the pending action. This may include all material documentation in a party’s possession, power or control. Further, when requested, documents must be produced for the opposing party’s inspection, subject only to claims of attorney-client privilege [communications passing a party and their counsel] and litigation privilege [documents prepared or obtained in anticipation of or during the course of a lawsuit, including information or material prepared or obtained for possible use as evidence]. After the parties have exchanged documentary evidence, counsel usually arrange to conduct examinations for discovery, commonly referred to as “depositions”. This requires the parties to answer questions, under oath, prior to trial. The purpose is to allow the lawyers to find out what each side has to say about the case. Preparation for trial usually includes service of “Requests for Admissions” [formal requests that opposing parties admit the truth of certain facts or documents]; supplemental discovery; and participation in a “pre-trial conference” [a meeting before a Judge for the purposes of exploring settlement options and narrowing issues]. The parties may request or the judge may order mediation. Where it appears that one of the parties’ claim or defense is essentially devoid of any merit, motion for summary judgment may be appropriate. This process requires the moving party to satisfy the court, based on affidavit evidence, that there is no genuine issue for trial and that the action should not proceed further. Although the facts are rarely sufficiently obvious to pass the “no genuine issue” test, summary judgment motions can yield timely and cost-effective remedies in appropriate cases. If settlement efforts prove unable to resolve a dispute, the case will be listed for trial with the court office, which will schedule a trial to take place as soon as sufficient court time is available. The length of a particular trial will depend upon such variables as the number and complexity of the issues involved, and the number of witnesses called by each of the parties. Filicetti Law Office P.A. serves Boise clients as a criminal defense, personal injury, and employment law firm. If you need excellent attorney representation, contact our office today at (208) 388-0123 to schedule your free consultation with an experienced and aggressive lawyer. Filicetti Law Office P.A. provides statewide criminal defense and representation in cases pertaining to personal injury, police defense, and employment law from our office in Boise. DISCLAIMER This website does not provide legal advice, nor is it intended to act as a substitute for legal advice. If you have any inquiries, please feel free to contact us. The hiring of a lawyer is an important decision that should not be based solely upon advertisements. Before you decide, ask us to send you free written information about our qualifications and experience. These materials have been prepared by Filicetti Law Office, P.A., for information purposes only and are not legal advice. This information is not intended to create, and receipt of it does not constitute, a lawyer-client relationship. By using this website and/or filling out a case analysis form, an attorney/client relationship is not established. If the case analysis form is used, and no attorney/client relationship develops, the information submitted on the form will nevertheless be held in strict confidence. Users of this website should not act upon this information on any particular legal matter on which you are seeking guidance until you are asked to do so by one of our lawyers.